Latino Conservation Week :: A Hispanic Access Foundation Initiative - Los Angeles Kick Off Event! 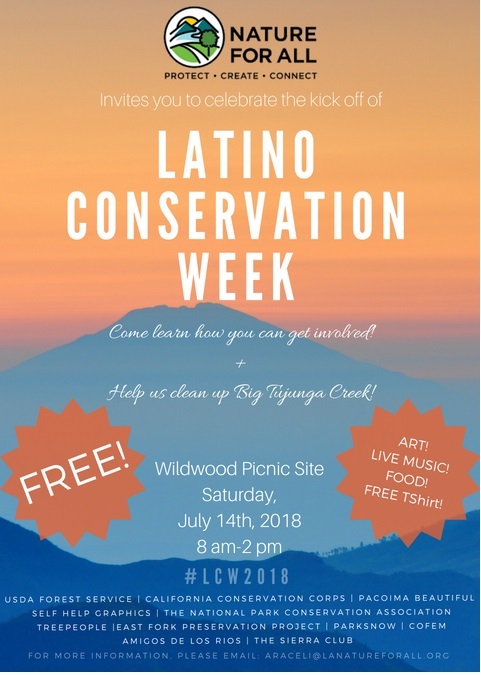 Nature For All invites you to a Community Clean up + Kick off Celebration for Latino Conservation Week on July 14th, at Wildwood Picnic Area (in the Angeles National Forest) from 8am-2pm! The event is FREE -Please RSVP! We will start off the day by working together to clean up Big Tujunga Creek. After the clean up, we invite you to join us for a free lunch + Celebration! Come learn more about Latino Conservation Week, the participating organizations , and how YOU can get involved. 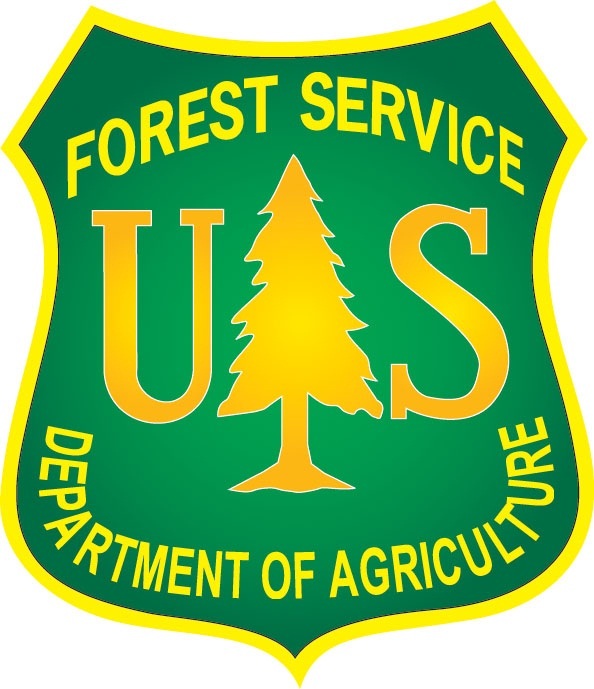 There will live music PLUS, Come participate on converting a Forest Service, Bear Proof Trash Bin, into a work of art, through the Convert-a-can project! This is a FAMILY FRIENDLY Event! ALL are welcome to celebrate! Questions: For Questions about this event, please contact Araceli Hernandez with Nature For All at 818-724-7302 or araceli@lanatureforall.org.